Oh my. I have always been a huge fan of blog giveaways (who wouldn't be?) but this is the biggest giveaway I have ever seen! 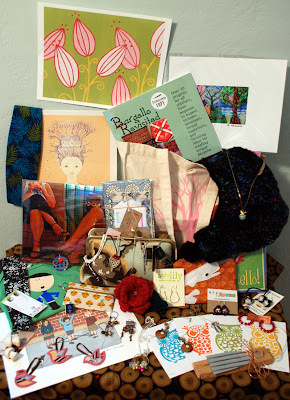 This huge stash is worth over $775, with fabulous prizes contributed from 38 creative businesses. 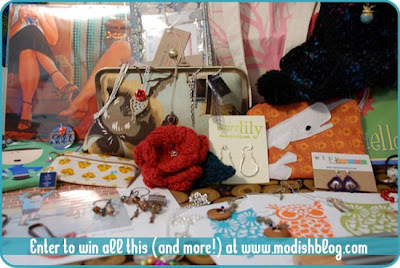 Enter before Sunday for a chance of winning, at Modish. International entrants are allowed. Thanks to Aquamarine for the tip.